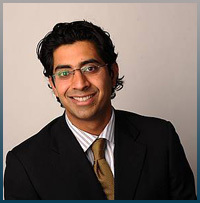 Dr. Hussain is a graduate from Loma Linda University’s Dental Anesthesiology program, a two year post doctorate degree. During his training at Loma Linda University Medical Center, a trauma facility with sixteeen operating rooms, he received extensive training in medical anesthesiology. He also received further specialized training at the Special Care Dentistry Clinic at the Loma Linda School of Dentistry, which sees nearly five thousand patients annually, primarily comprised of pediatric and adult special needs patients. He is a member of the American Society of Dentist Anesthesiologists, Society for Pediatric Anesthesia, International Anesthesia Research Society, the American Dental Association, and the California Dental Association. He holds certification in both Advanced Cardiac Life Support and Pediatric Advanced Life Support. Prior to his training as an anesthesiologist, he obtained his undergraduate and doctoral degrees from McGill University, following which he served four years in the Royal Canadian Military. By reading both the educational brochure and patient section of this website you will find important and useful information to help you become a better informed patient. Dr. Hussain believes every patient benefits from knowing beforehand what to expect and being actively involved in his/her own care.